Have you ever been so happy because you got a real bargain on your favorite cologne? Only for you to get home and recognize the stereotypical ‘cheap scent’. Most disappointing. Most men still buy fake ones that only have their favorite brand names printed on them. Price tags matters a lot. The amount of money you are about to spend to obtain that cologne should hint you about its authenticity. If it’s too cheap, there’s is a very high probability it’s a fake. Most of the time, sellers can lure you to believe they are offering a promotional discount service to encourage more buyers. Don’t be a victim! Before making that purchase, consider the area where it’s being sold. Areas, such as, flea markets, street corners and random shops in local neighborhoods are not the best places to look when buying cologne. 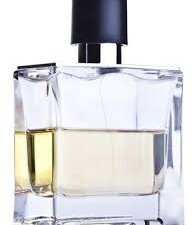 You can always check for reliable fragrance stores online to help you secure the best cologne. Consider the scent of that cologne and determine whether it’s strong, light, bitter or sour. If it doesn’t smell like anything you’re used to, then don’t buy it. Most importantly develop a sense of smell, so that once you spray a little on your hand, you can always tell if it’s genuine or not. See to it that the seller gives you every assurance you need to prove that the cologne is the real deal otherwise don’t even think about it. Ask the seller for certificate of authenticity as well as a return policy to be on the safe side. Always take with you, old bottles of your favorite cologne, and be sure to compare them with the new ones from top to bottom. The moment you spot any little difference with your old bottle, be smart enough to know it’s not the real thing. Every original cologne is expected to have a long lasting scent. Make sure before you pay your money, spray a little on your skin and go about your business. After a long while, if the scent is still there then it’s the real thing. If it happens that the scent fades away even before you get through quarter of the day, don’t bother going back to pick it up: it’s fake. The differences between real and fake colognes are usually very difficult to detect and if proper care is not taken you are likely to make some bad choices. You can use these tips to point you in the right direction when purchasing your favorite cologne.